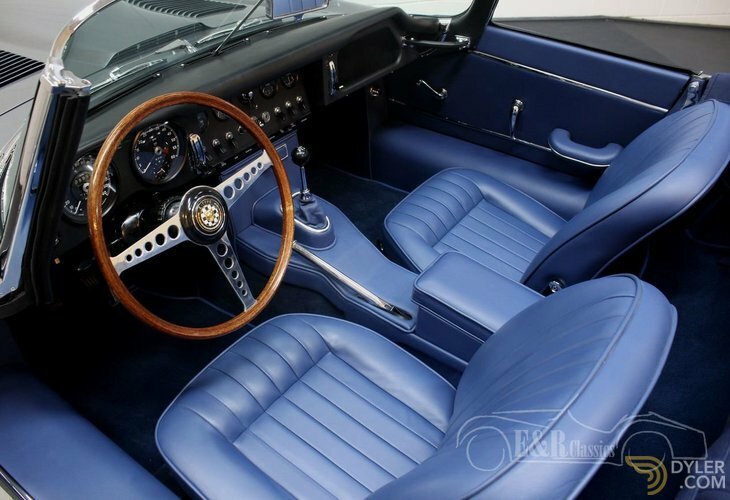 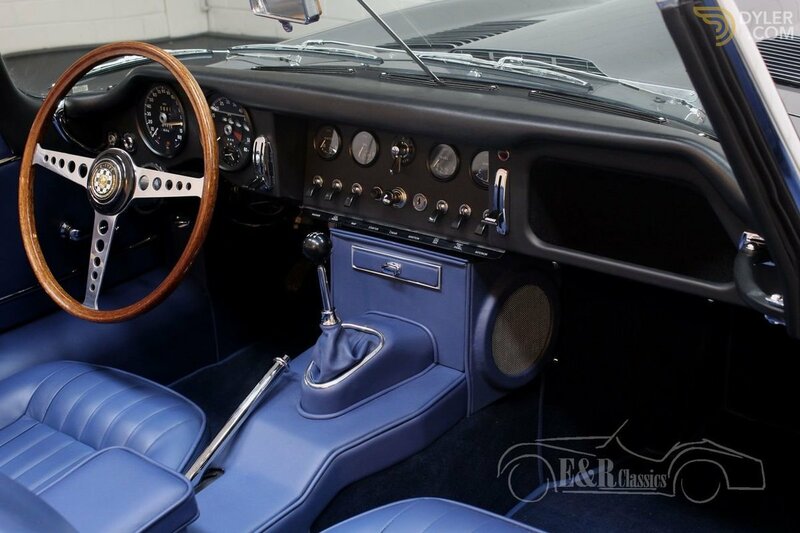 This is a 1965 Jaguar E-Type Series 1 Cabriolet. 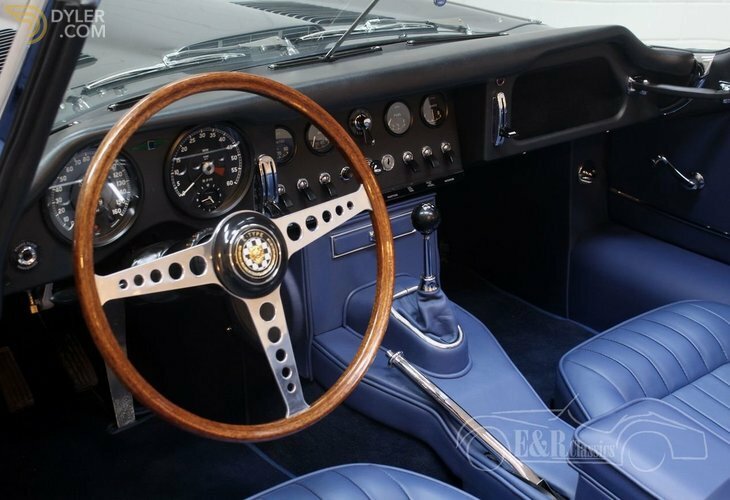 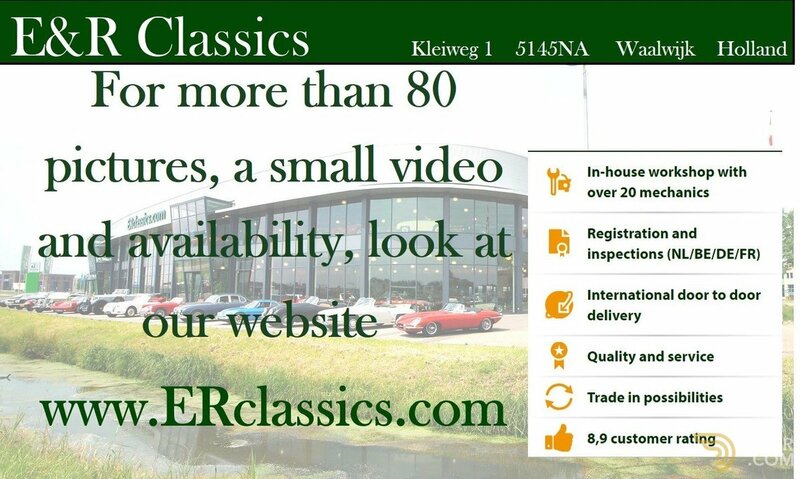 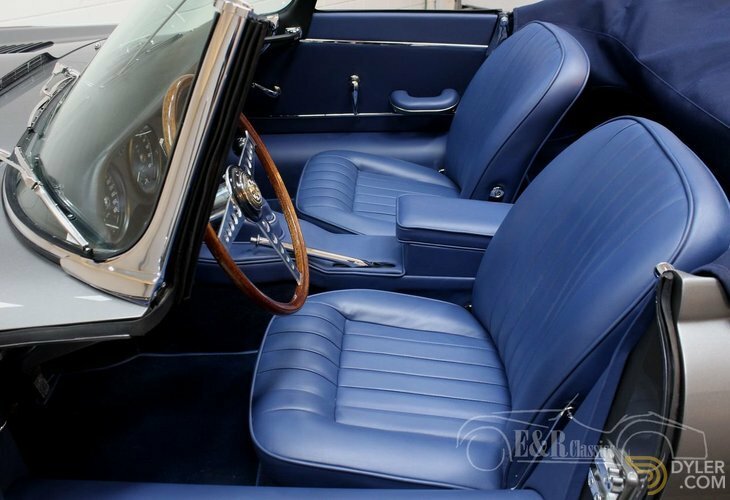 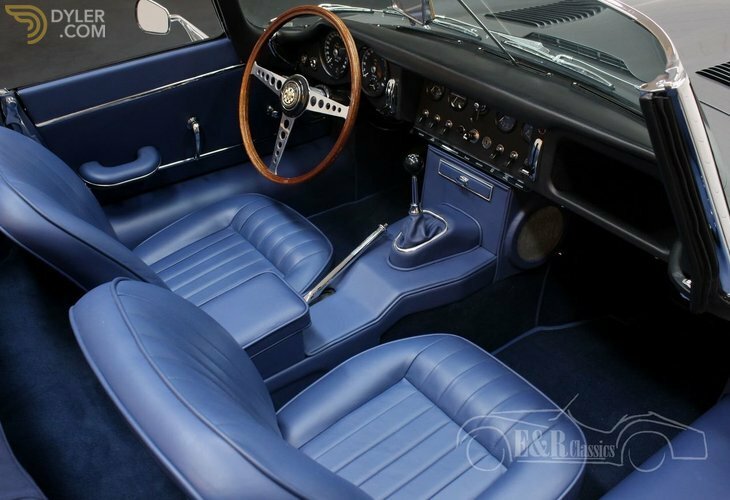 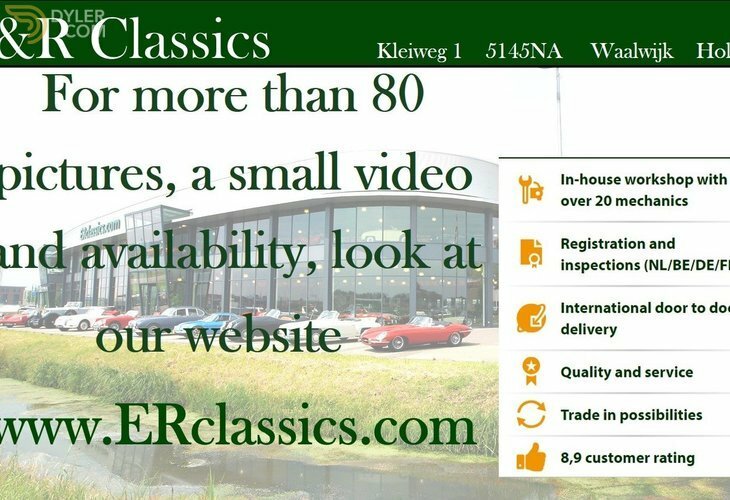 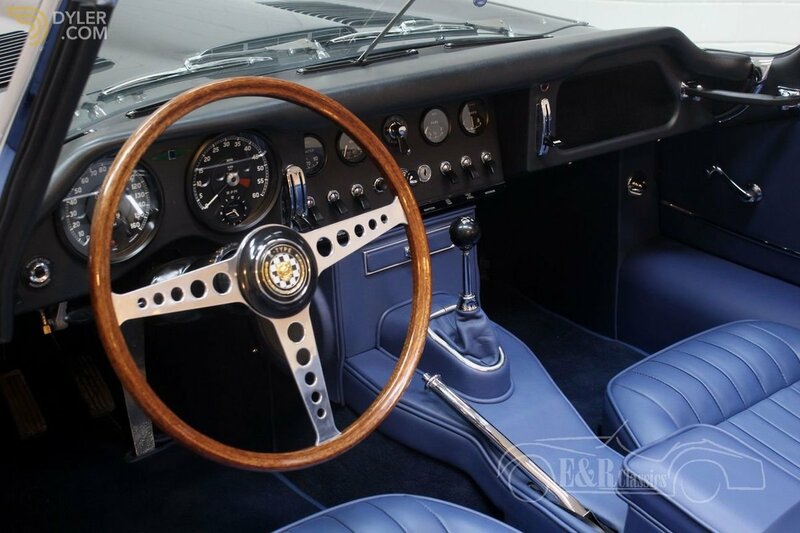 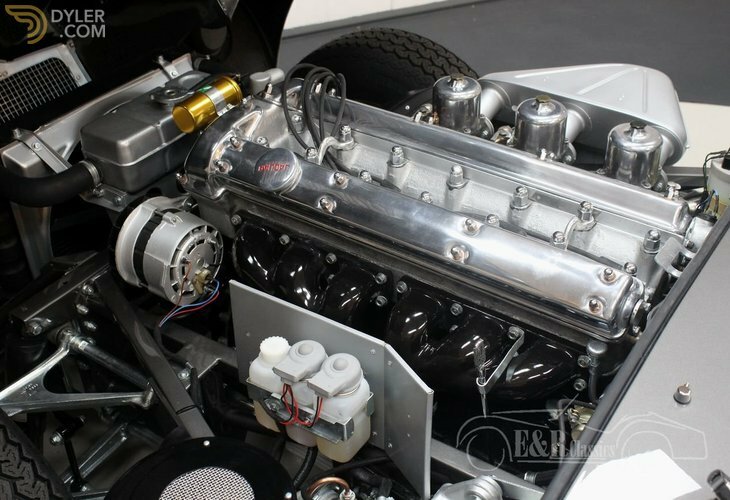 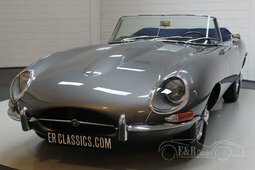 In the period 2018/2019 this car has been extensively restored in our workshop and is in absolute top condition. 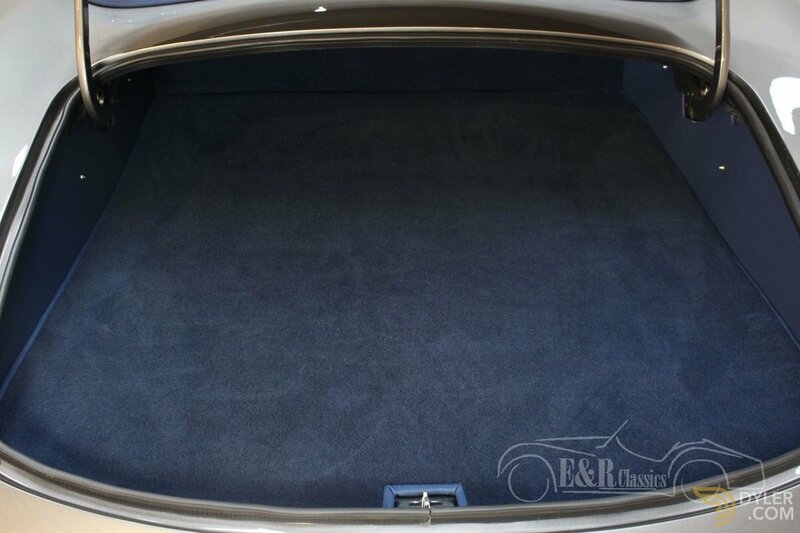 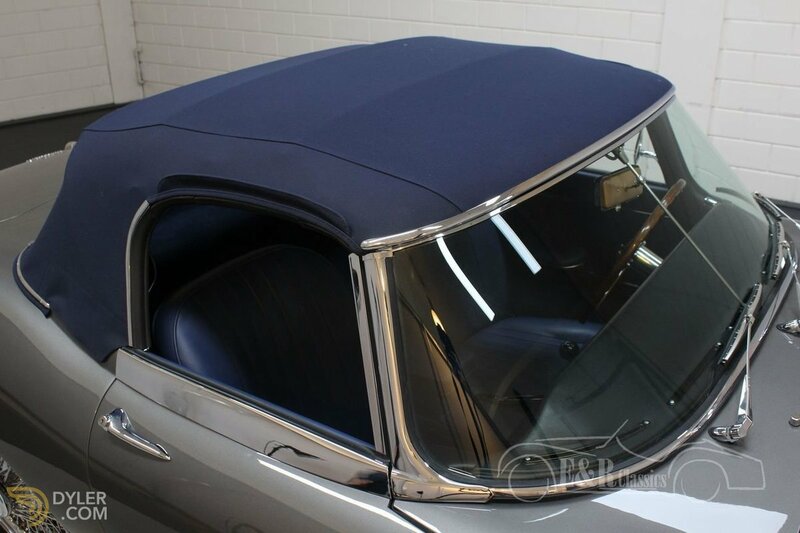 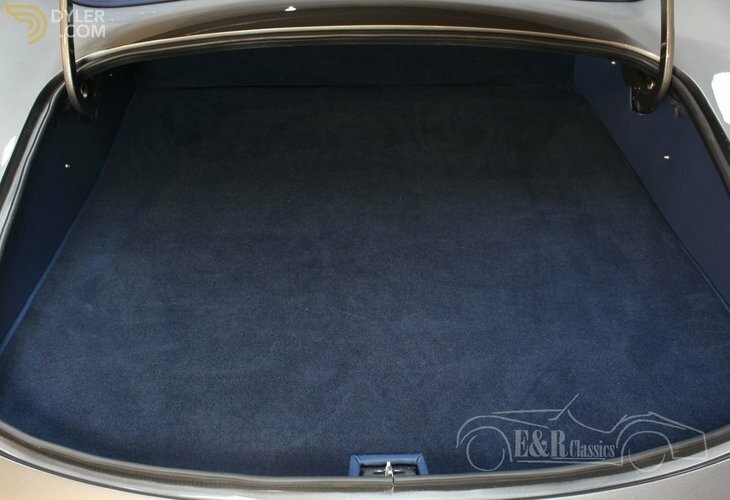 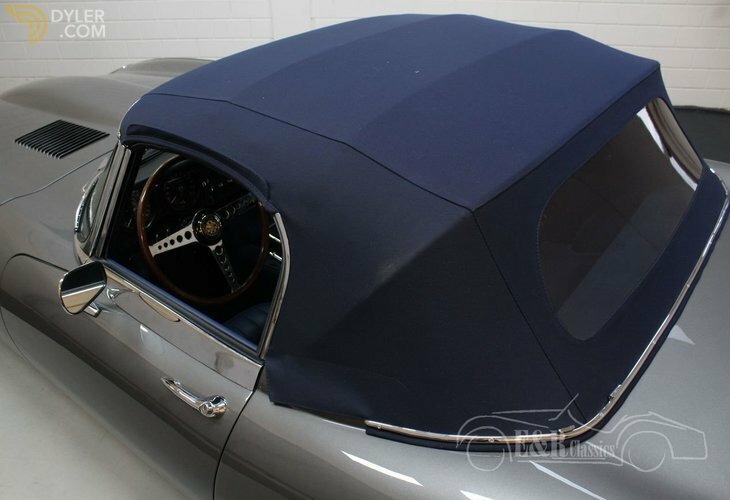 The beautiful and very elegant colour Opalescent Gun Metal Grey we have combined with a dark blue leather interior and a dark blue soft-top of Sonnenland cloth. 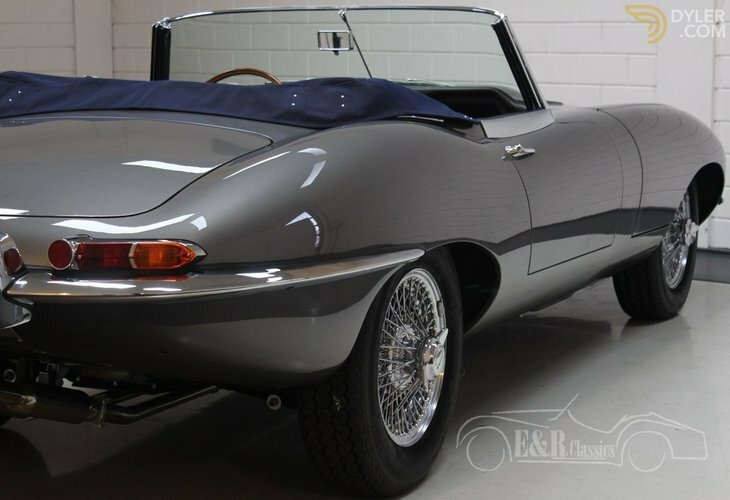 The familiar lines of this S1 E-Type look great in this colour combination! 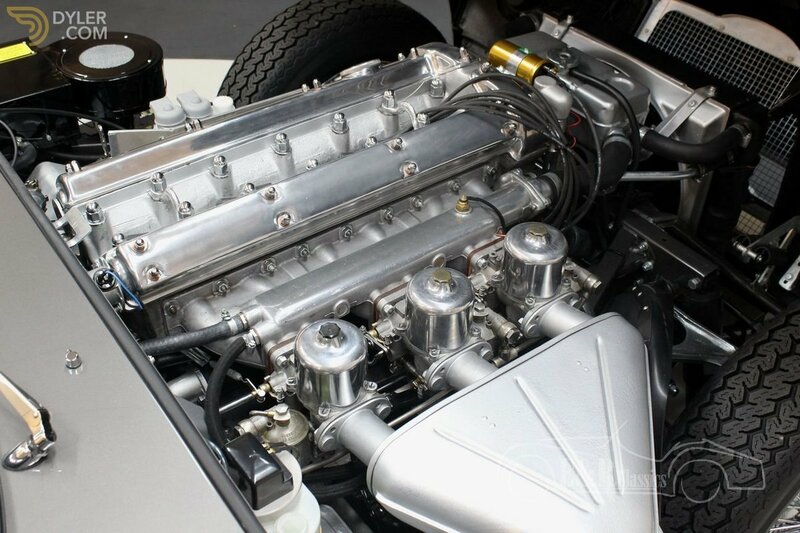 Furthermore, the car has the revised and matching numbers 4235CC engine in combination with the 4-speed manual gearbox. 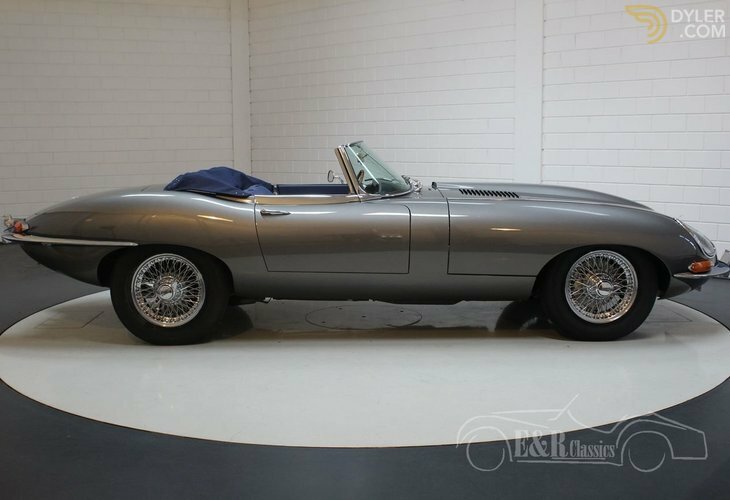 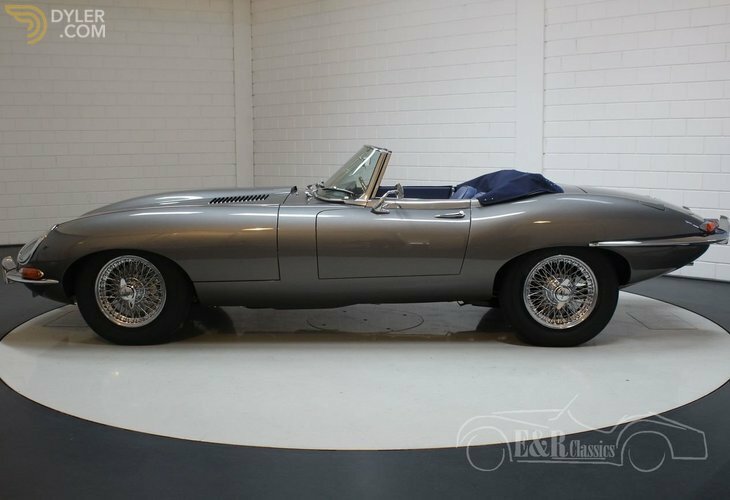 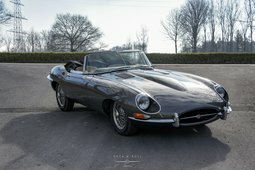 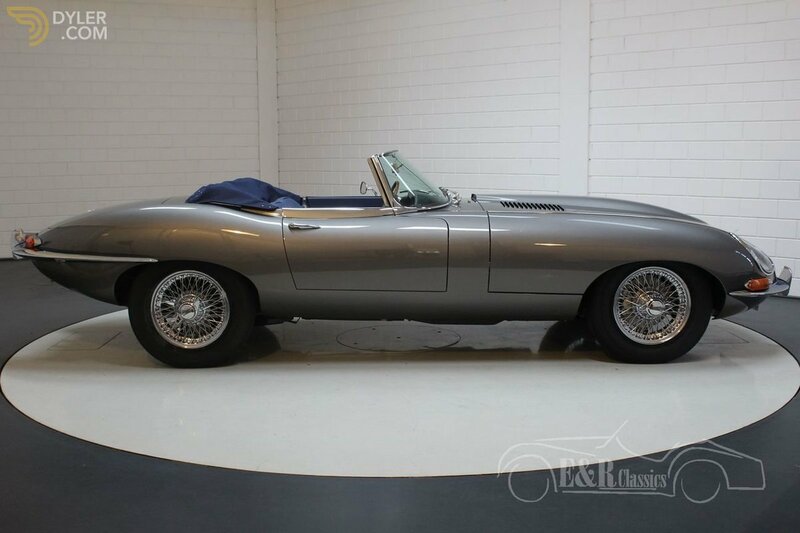 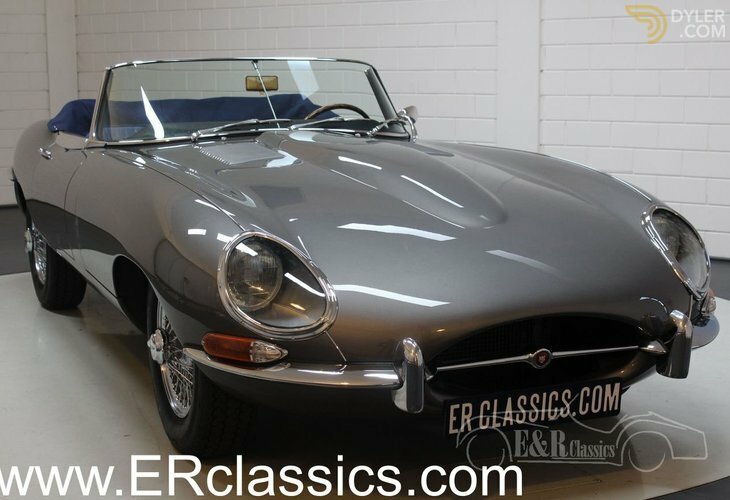 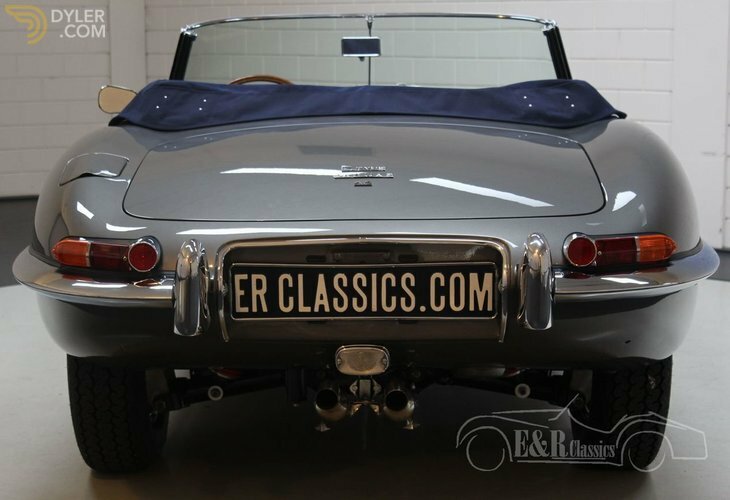 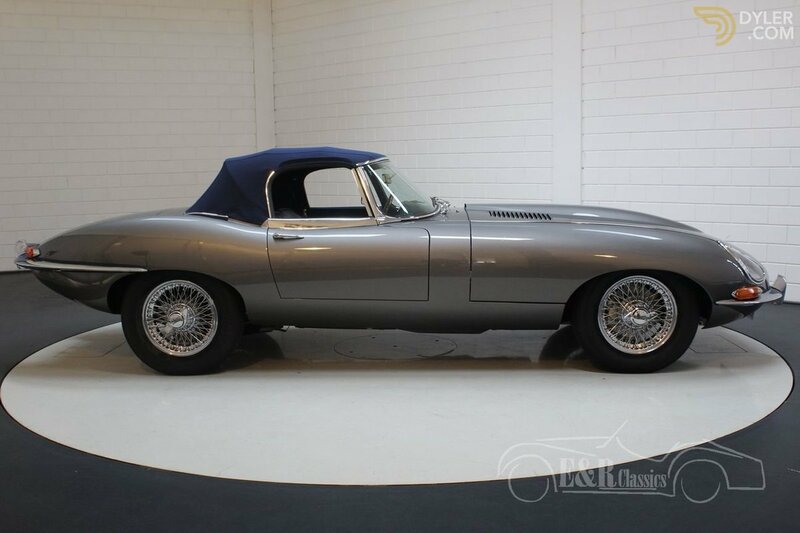 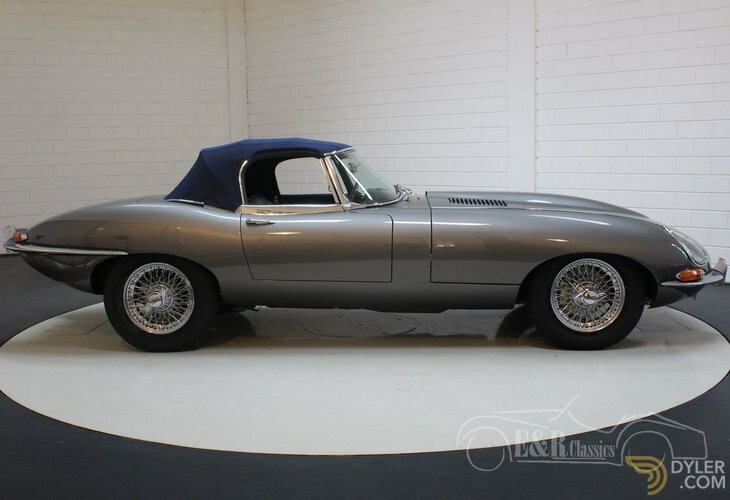 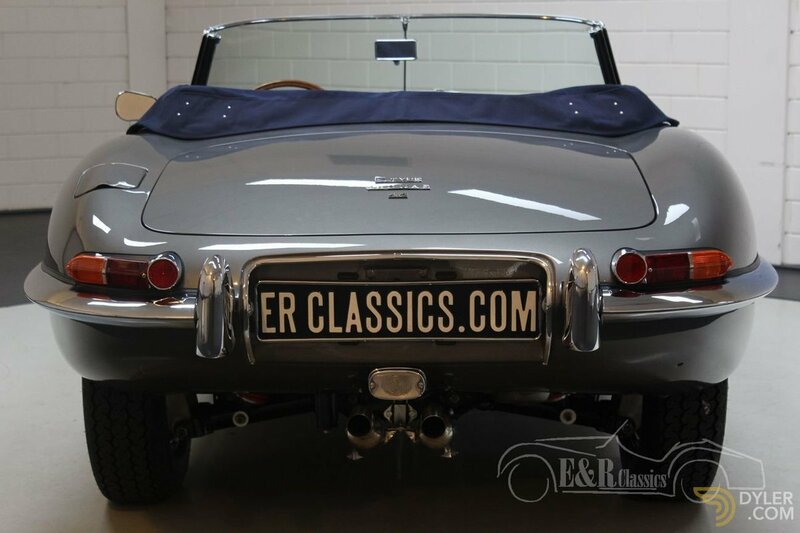 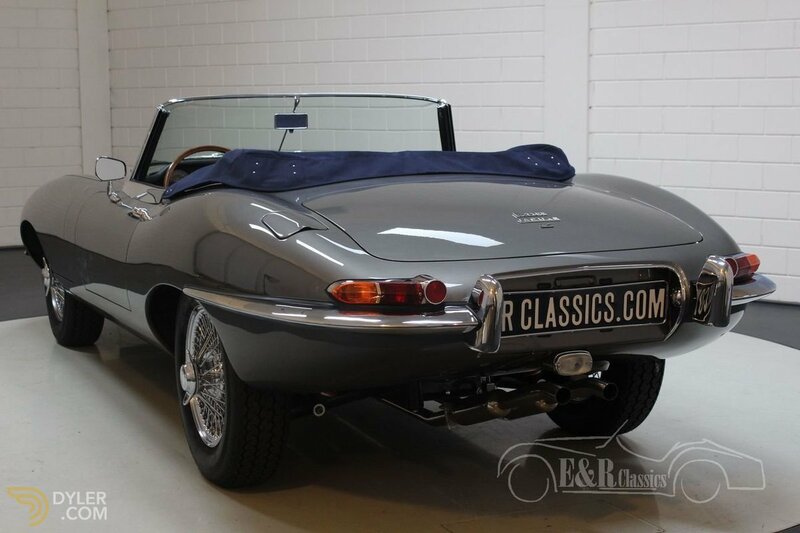 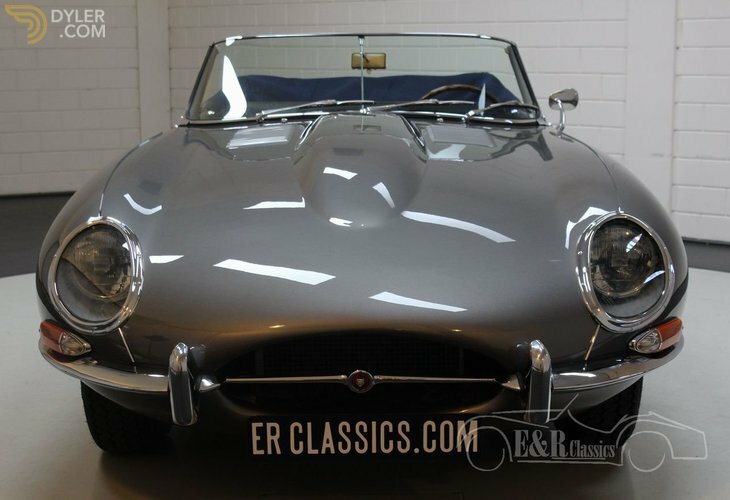 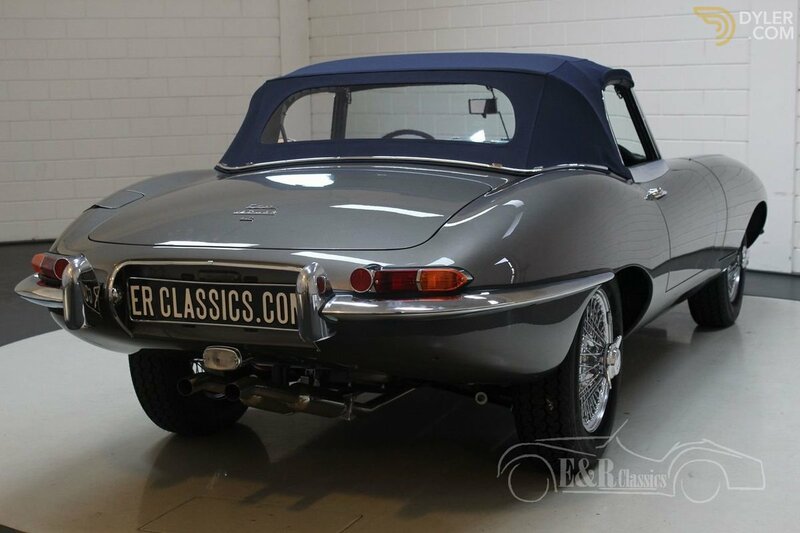 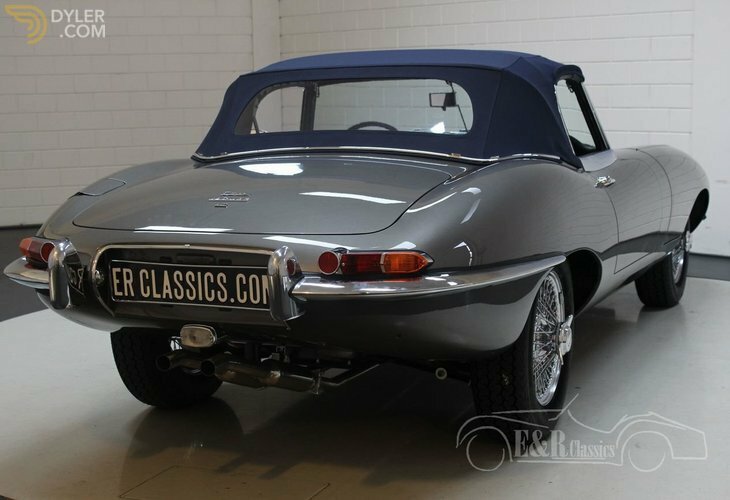 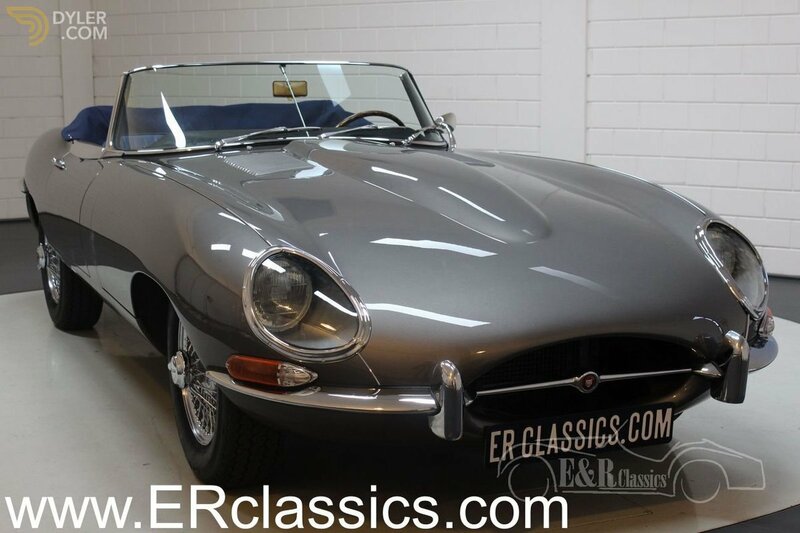 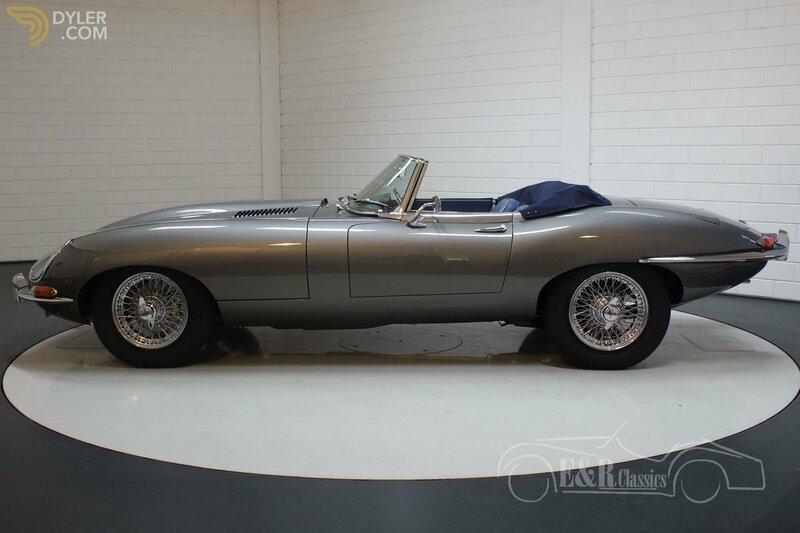 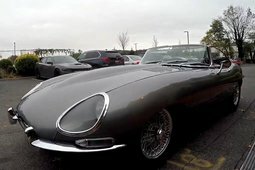 In short, a top-restored Series 1 E-Type Cabriolet!